I have seen no hard documents that tells me what the liability is in Gorleston but from what I have read and my own files suggests that it is very likely to be apportioned liability created by the 1936 tithe act. Allotment 185 now has 11 owners on it and the owners would be obliged to share the liability between them in a way they thought was equitable. For a PCC to register the 185 it would almost certainly cost a PCC a good sum of money and to collect the money probably about £30. 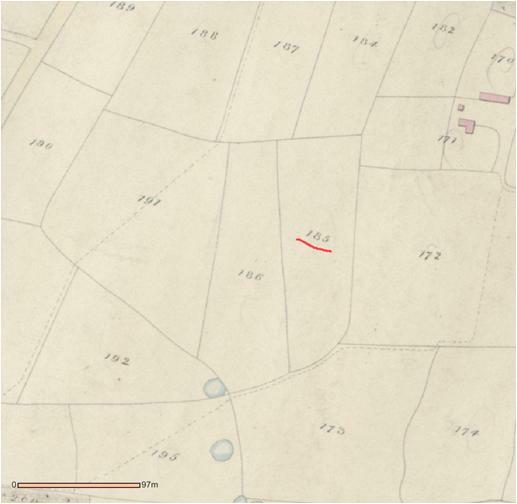 It is also important to note that plot 191 does not have any liability due to who owned that plot in 1936. This is not a definitive answer since there is no way of telling the type of liability until the documents are seen and so all I can say this type of liability is the most common.